The attack on the Protestant Church of Leuthen is nowhere told; one of the (new) aims of this blog is also to reconstruct that parts of battles that are forgotten, but that is possible with a historical perspective to suppose. The two churches are still visible today; they are located one in front of the other on a west/east line runnig through the village of Leuthen. 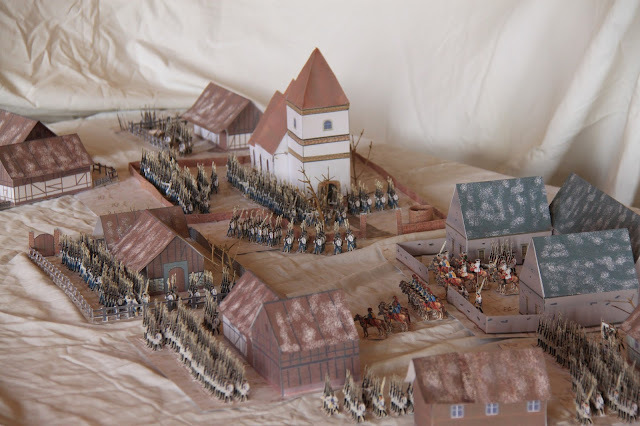 The Protestant church is more on the west part of the village and suffered a less impressive attack by the Prussian, but indubitably it was also a center of hard fighting. 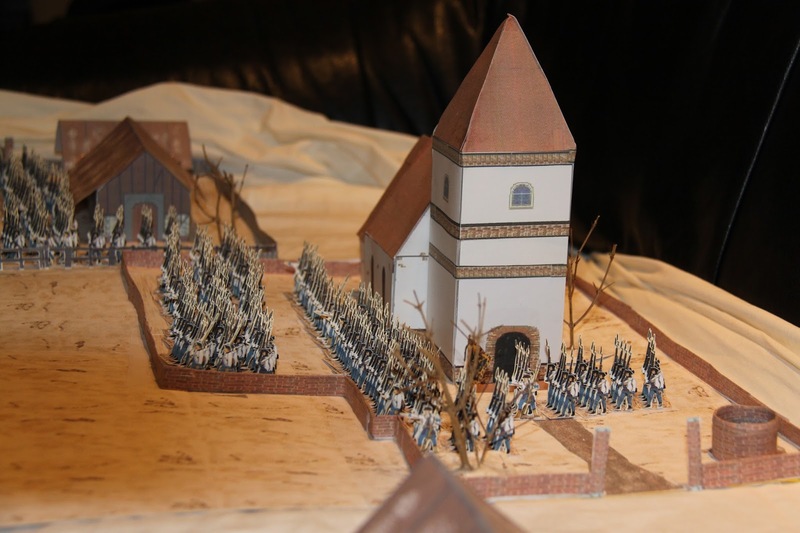 In these pictures the Protestant Church is defended by 1 battallion of the Hungarian Regiment Haller; the Hungarias wore very colurfull uniforms, usually with very tight trousers and low shoes. 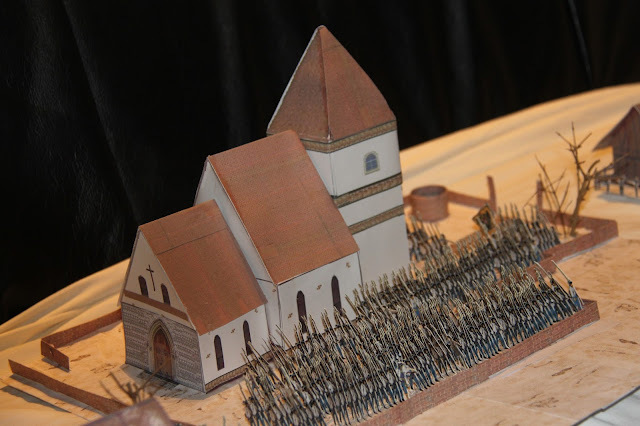 Thanks to the papersoldiers it is possible to host inside the little yard of the church (about A4 size): this is something quite unique. Here a wider vision of the Village; The Protestant Church, the center of the Village with the little mayor.